It goes a little something like this: ever since Twitter clients introduced muting for individuals, keywords, or even by regular expressions, I’ve never been a big fan of muting anything. I could have muted away topics that didn’t interest me tweeted by people who did, but felt that since I had chosen to follow that person, I had chosen to accept that person, uninteresting topics and all. 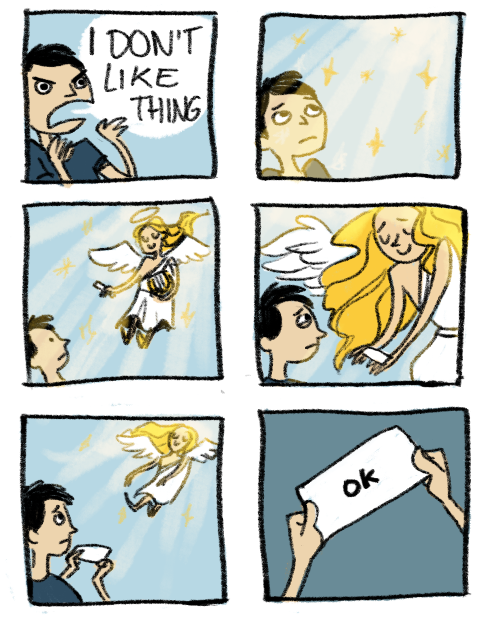 (I’m sure many people feel the same way when I tweet about some inane, trivial thing.) Last year, that changed as I started to question where to draw the line: at what point did that person who tweeted about current social issues that I wanted to stay away from become more about unfollowing them as much as it meant muting the topic at hand? That is, if someone became a consistently loud, vocal campaigner for a cause I wasn’t interested in, do I just unfollow them, or mute the topic? With that in mind, I started muting topics on Twitter. The noise was just becoming unbearable, and short of unfollowing everyone, I saw muting as the only way to curb the deluge. But why stop at just muting the gucci-goo hashtag? Why not mute every hashtag, and return Twitter to a time when people didn’t troll hashtags, or use them inappropriately? Sure, I’d miss out on topics that “went viral” or the odd tweet from my friends, but I never really used them anyway. I wasn’t really going to be missing out on any good discussion, because no one worth following converses with hashtags, and if I really wanted to stoop low, I could always go looking for viral content, most of which would be recycled from more popular tweets, because that’s just what Twitter is. I favourited a tweet from Eli Hodapp, which has since been deleted, which encapsulated my current feelings on Twitter perfectly. He said “my life is just at absolute capacity when it comes to negativity these days and Twitter only exponentially contributes to that”, and while it all seems a little bitter-old-man, get-off-my-lawn, it’s true. In summary, this tweet from Dave Pell might as well have been the introduction to 2014 that we were all looking for, even if we didn’t know it. Good morning, Internet. Everyone take out your pitchforks. We'll find something to use them on by lunch. But for every goober-goo, feminazi, or every Faceless Void who was fruitlessly hitting the enemy team’s ancient in an attempt to win the game, a small glimmer of hope shone out for those that just wanted to enjoy video games without the baggage of social issues. In 2014, that small glimmer of hope was PAX Australia. PAX Australia 2014 was undeniably great. I picked up a sweet set of speaker tags for my Astro A40, heard smart people discuss excellent video games, stood dumbfounded at the complexity of League, fondled the New 3DS XL, wondered if I was unconsciously, unintentionally, sexist, and picked up the awesome Sarkhan pin in an epic series of events. But the biggest thing about PAX Aus was that it put everything in perspective. You see, PAX happened during the peak of gnocci-grue, at a time when Twitter was unbearable: women were being forced to cancel talks at prominent American universities because of the threats of massacres, and the general feeling was that everyone was pretty much fed up that we had to dedicate such a significant portion of our lives to these people who didn’t deserve the time of day, much less the attention they received. 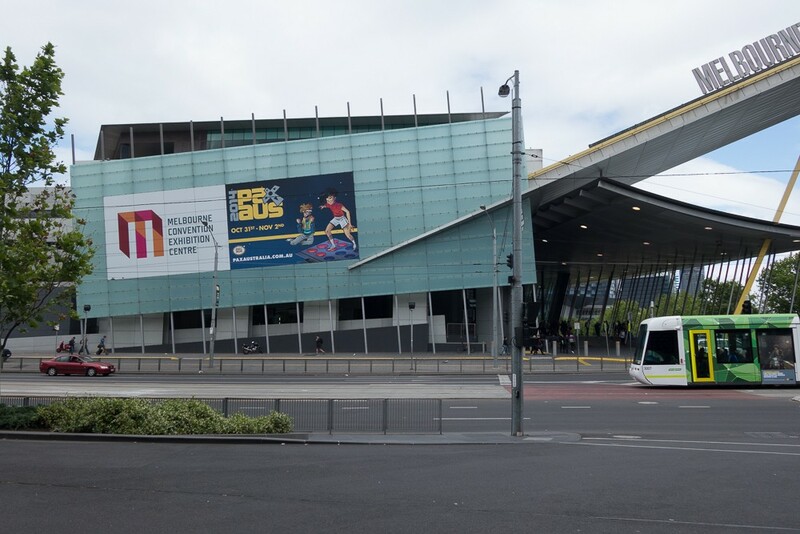 As Australia’s largest gathering of gamers, our culture was at war, and I think everyone was a little hesitant about how things would pan out at the event. Would there be crazies on the street corner preaching about ethics in video game journalism and urging people to boycott PAX? Would panels be disrupted because people wanted to make a statement about women in games? Would the vocal few spoil it for the reasonable majority, those who just wanted to enjoy their video games in peace? As it turned out, no. None of those things happened, and the most anyone saw of the grunter-goo was a singular question at one such panel. As it turned out, PAX Australia was the perfect antidote, a breath of fresh air for a community that was, until that point, poison. If nothing else, PAX put everything into perspective. It could have been so much worse — or at least half as bad as my American twitter friends would have me believe, and yet there was nothing to suggest that the people who really wanted to discuss ethics in video game journalism (I’m all out of childish alliterations for GG) were anything beyond anonymous keyboard warriors. Keyboard warriors who were more than happy to threaten the nastiest of stuff online, but when it came to real life, where real people were concerned, were nothing more than a bunch of hot air. It’s easy to forget that the internet is not the world; I am always amazed when I step away from Twitter and blogs and stuff to talk to people face-to-face, and I realize that they’re so calm and kind and human. It can’t be said enough that the people who take the time and energy to post online about software are not an accurate cross section of the people who use software. The more I think about it, the more I realise that that’s just the kind of internet we have these days. In a world filled with every imaginable tragedy and reminder of the human condition, it’s all too easy for people to lash out, jumping to conclusions before getting all the facts. There’s no disincentive to honking at people for the slightest provocation. There’s little recourse for abuse. It’s such an asymmetrical, aggressive technology, so lacking in subtlety. It kind of turns everyone into a crying baby — you can let the people around you know that you’re very upset, but not why. I think the Internet is like this sometimes, too. The internet is like a car horn that you can honk at the entire world. Twitter. Or the internet. But mostly Twitter. Credit to joscribbles. Twitter contributes to the problem by being a medium which is inherently focused on the moment at hand, the right here and right now — while they and others are building tools to make going through your Twitter archives easier, the spontaneous nature of Twitter means everyone wants to be the first to break news of yet another plane going missing, when all we really know for sure is that a plane dropped off a radar system for a little while. It’s like “FIRST! !11one” comments on the internet moved from blog articles to Twitter accounts, with no one the wiser — only this time around, you’ve got anywhere from a thousand, tens of thousands, even hundreds of thousands of people all across the world listening and hanging onto your every word. Say something controversial enough, and they’ll then spread your message to their social circles, and before you can say “Chinese whispers”, whatever you said has been blown so out of proportion that there’s no hope of doing any kind of disaster recovery. I don’t profess to have all the answers, but I will say this: as much as I appreciate Twitter giving everyone a voice, I’m even more appreciative of the fact I get to choose who and what I want to ignore. Call it growing up, or the start of my eventual journey into the bitter old man, but there’s only so much I can care about things — and if I don’t care about things as much as you do, then I’m afraid this is the part where I get off. But it’s cool, you can continue on to the end of the line, complaining to anyone that will listen about the injustice of your current situation, or how everything is just so stupid. I’ll be over here, where I’m not being constantly dragged down by the negativity of the internet. Because, as the saying goes: ain’t nobody got time for that. New Blog Post, Host, Why Not Both? What do insanely wealthy people buy, that ordinary people know nothing about?